If you like movies, we have them! Over 35 channels of premium movies and original series all at your finger tips!  Movie channel packages are available with Expanded or Digital TSC Television service. HBO® Original series, thought-provoking documentaries, blockbuster hits and sporting spectaculars. Cinemax® has you covered with the best Hollywood hits, and action-packed original series. Between exclusive premieres on the flagship station and seven multiplex channels spanning genres from slasher films to chick flicks, we've got a wild ride guaranteed to keep you on the edge of your seat. Over a dozen channels of the hottest movies, biggest stars, and original series, giving you hundreds of movie and entertainment choices every month only on Starz and StarzEncore!